Obituary for Donald Eugene Leipold | Myers - Somers Funeral Home, Inc.
Donald Eugene Leipold, 80 of Altoona died Friday afternoon June 29, 2018 at James E. VanZandt VA Medical Center, Altoona. He was born November 17, 1937 in Altoona a son of the late Frank and Roseanna (Eisel) Leipold. He married Janet Lou Reed on June 8, 1962 in Altoona. Surviving are his wife, Janet; a daughter, Jamie A. Rhyner and her husband, Warren of Altoona; four grandchildren, Sadie Rhyner; Lukas Rhyner; Kevin L. Snyder, Jr. (Mari Basom); and Jennifer McLaughlin; three great grandchildren, Zoey Snyder, Charlotte Snyder and Janel McLaughlin; and a great great grandchild, Brayden Sines. Donald was preceded in death by a daughter, Roberta K. Snyder. Mr. Leipold attended Our Lady of Lourdes Catholic Church, Altoona. He was a 1956 graduate of Altoona High School and a graduate of Mt. Aloysius College with an Associate Degree in Criminology. He was a U.S. Air Force veteran. 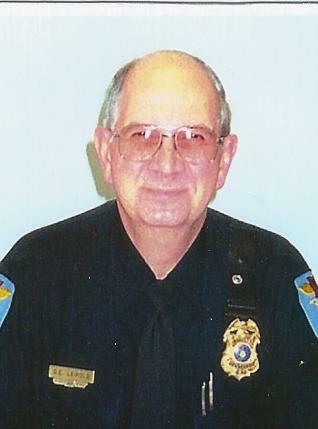 Donald retired as a Sergeant from the Altoona Police Department after 34 years’ service and was also previously employed as a security guard at the former Bon Secours Hospital, Altoona. He was a member of the Fraternal Order of Police and the Civil Air Patrol. Private visitation will be held at the convenience of the family. Interment will be made at Blair Memorial Park, Bellwood. In lieu of flowers, the family suggests memorial contributions be made to the Civil Air Patrol, 105 South Hansell Street, Maxwell AFB, AL 36112 or the Fraternal Order of Police, Mountain City Lodge #8, PO Box 121, Altoona, PA 16603.